Everyone needs a way to organize their day and check off items from a to-do list. 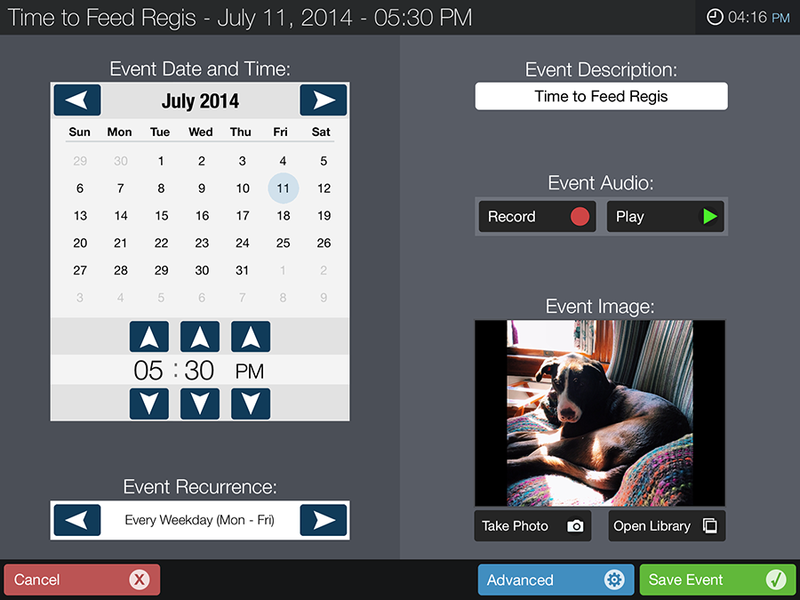 Now, with the AbleLink Endeavor 3 scheduling app, your clients can do this independently. Endeavor 3’s easy-to-use interface will help you keep them on track throughout the day - whether at work, at school, at home, or in the community! Many individuals – including people with intellectual disabilities, traumatic brain injuries, early onset dementia, and certain learning disabilities – have difficulty remembering when to perform key activities such as taking medications, turning off appliances, attending appointments, remembering work tasks, or any other routine or non-routine activity of daily living. 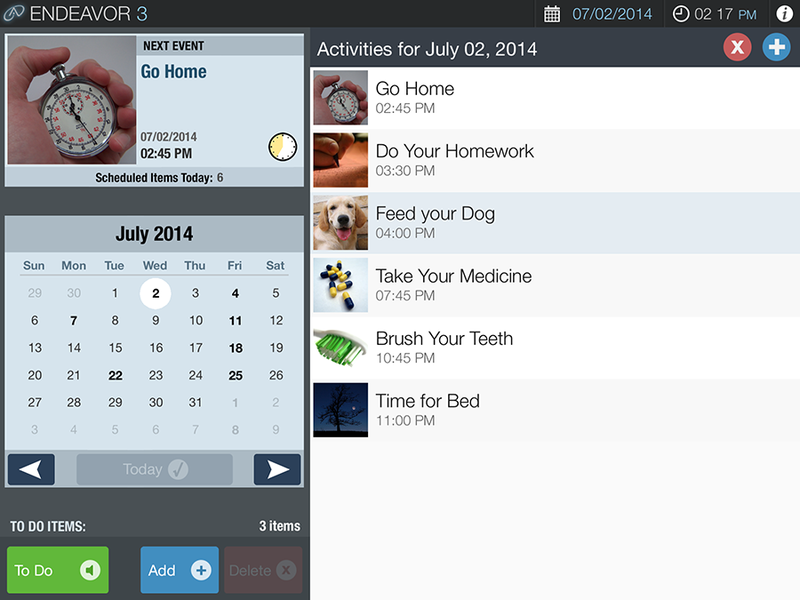 Endeavor 3 provides a format for these individuals to complete tasks independently and on time, thus freeing up staff or caregiver time and greatly enhancing the individual’s independence and quality of life. Family members, caregivers, or the end user can add scheduled events via Endeavor 3’s setup utility. A simple mix of an image, an audio message, and a set day and time is then presented on the home screen. Endeavor 3 can run in the background and provide notifications even when the user is working with another app or has the unit in sleep mode. 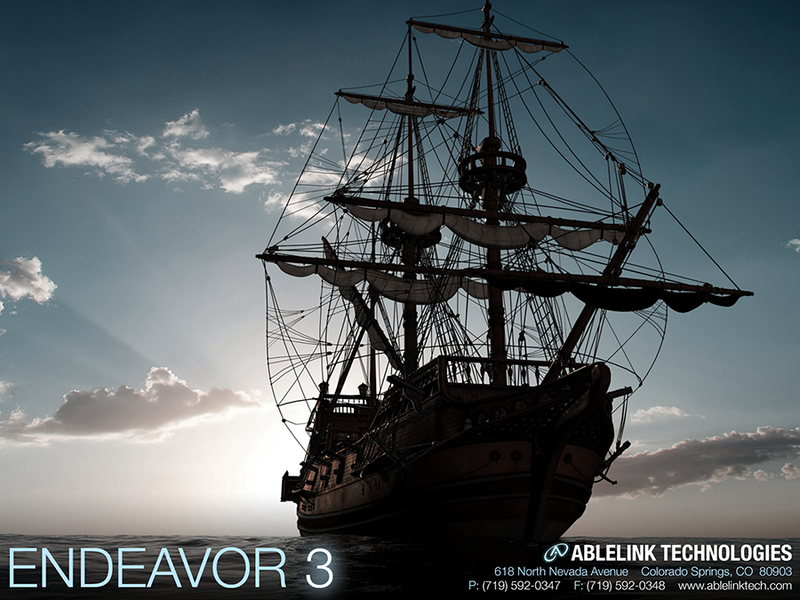 The Endeavor 3 app software can be purchased in the Apple App Store or in Google Play.